A group of students of the capital’s Viqarunnisa Noon School and College has demanded the release of the teacher who is now behind bars on charges of instigating the suicide of a ninth-grader. The demand came on Thursday (Dec 6) after the school’s students postponed their demonstration over the suicide of their fellow, Aritree Adhikari, pressing a six point-demand. 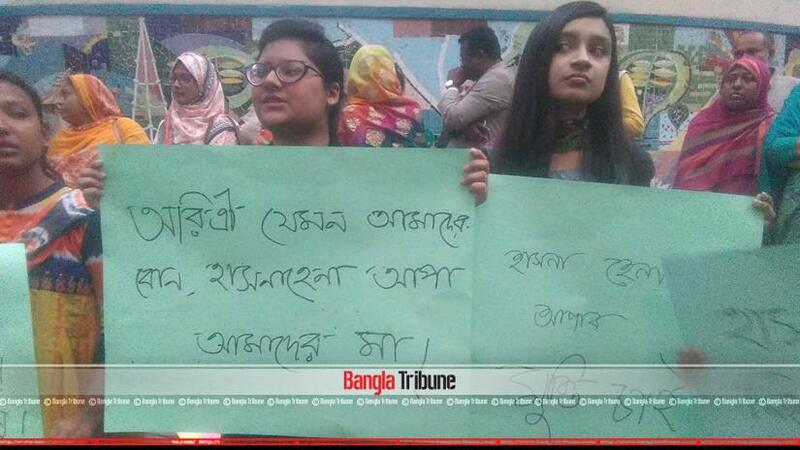 Students who are demanding justice to Aritree, however, denounced those who wanted Hasne Hena to be free. “Those demanding release of the teacher are not with us,” said Anushka Roy, who is the representative of the protesting students.